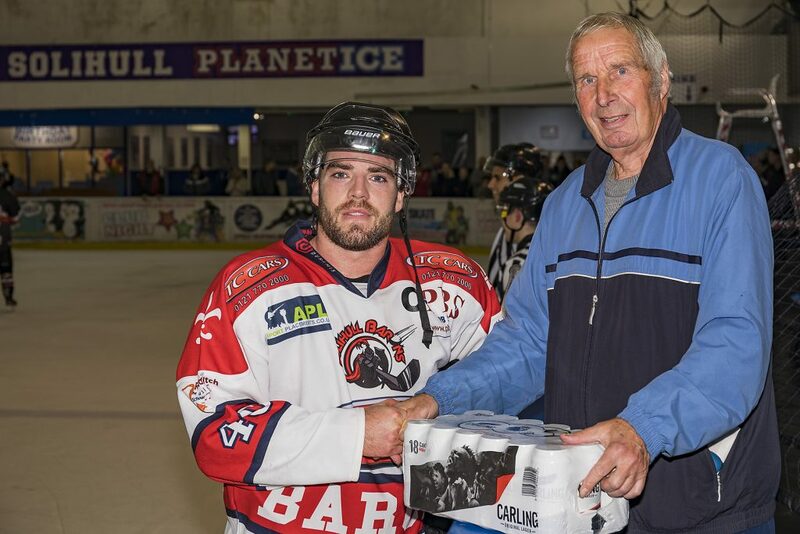 The TC Cars Solihull Barons and four goal hero Josh Bruce bagged both the points on Saturday evening in a tie against a very short-benched Blackburn Hawks – a side who kept their energy levels high enough to edge within touching distance of a dramatic comeback. 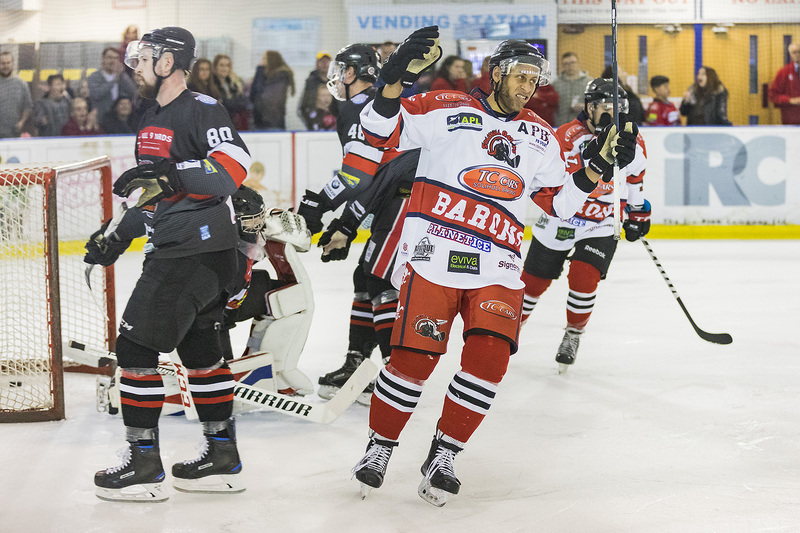 It was the visitors who made the brighter start with the Barons net coming under significant pressure over the first five minutes with the Barons giving away a penalty as they attempted to keep the Hawks in check. 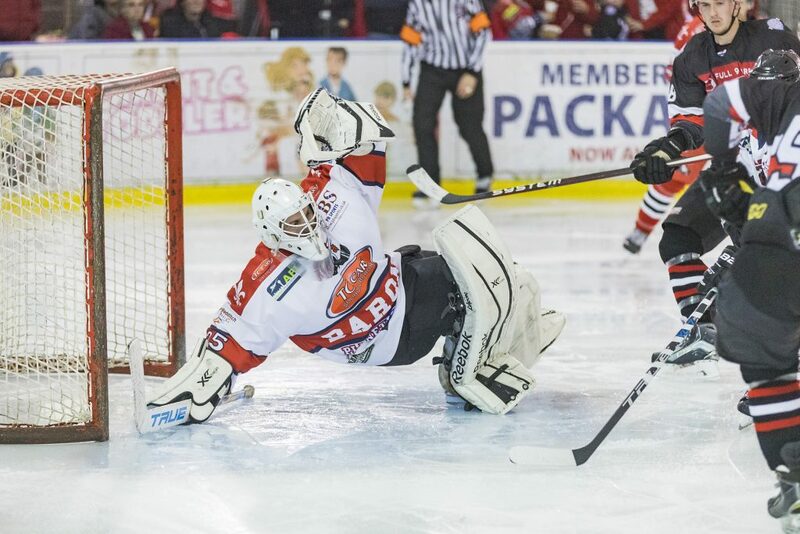 With Blackburn holding the man advantage and sensing their chance for the opener it left them open to the counter and Adam Brittle duly found the left wing open for a race up the ice and a pass to Josh Bruce in front of net to give Solihull the opening goal just after five minutes. Solihull’s lead was quickly doubled a minute later as Andy Whitehouse found Josh Bruce once more, the Barons captain shooting on the back post over a sprawling Harrison Walker in the Hawks net. 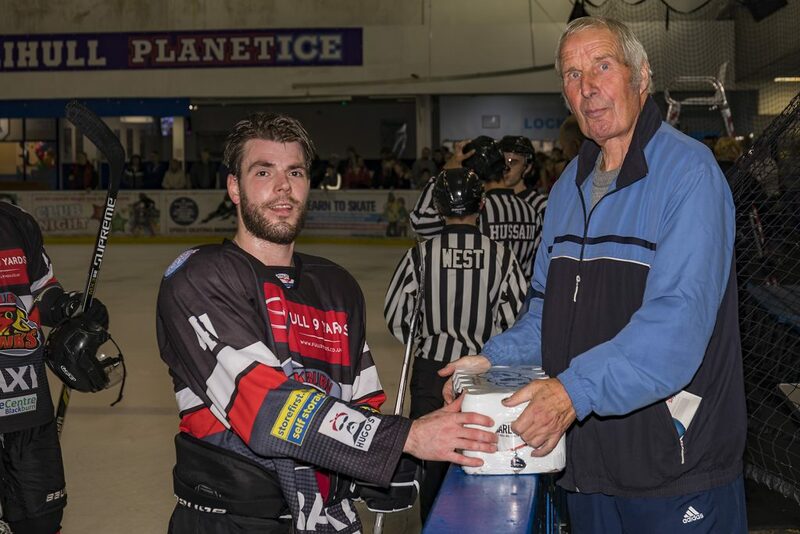 Solihull found the twine for the third time via a powerplay in the fifteenth minute, a Niklas Ottosson’s shot from the blue line tipped in by the screening Marcus Maynard. 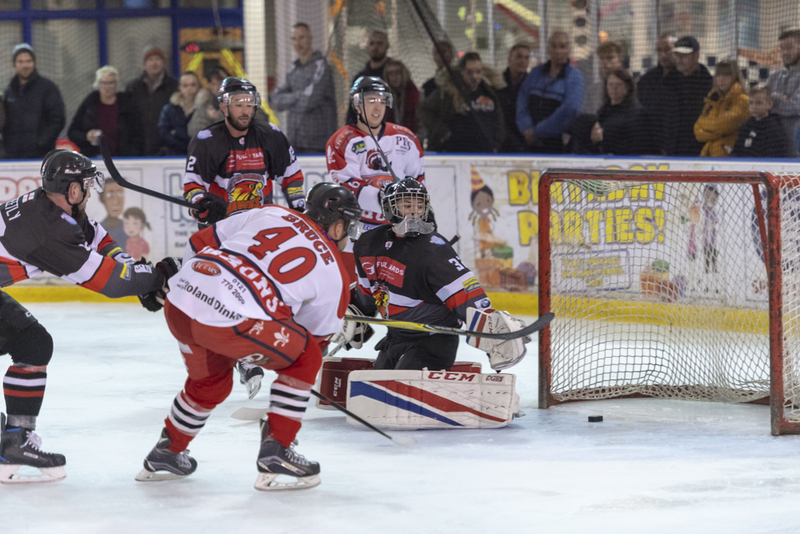 The Hawks would however keep themselves in touch heading to the dressing room at the end of the first period with a more offensively focussed display and a goal of their own with three minutes left on the clock, Lee Pollitt converting for the visitors. While the Hawks had come more into the game toward the end of the first period, by early in the second the Barons were back in charge thanks to another powerplay opportunity. Josh Bruce once more, notching up his hat-trick on the 25 minute mark, as he slotted home a deft shot from the left circle. By the half hour mark a 4 on 4 battle was instigated thanks to matched penalties and the extra space on the ice did wonders for the Barons forwards with Adam Brittle and Niklas Ottosson finding the net within a minute of each other to give Solihull an apparently unassailable 6-1 lead ahead of the third period. The Hawks clearly had the sharp tasting oranges during the break and despite having only two lines to rotate, came out for the third prepared to throw everything at the Solihull net. They were rewarded within half a minute of the restart, Ross Kennedy with the goal. The visitors continued pushing, Solihull having little of the puck and being limited to disrupting the Hawks play with poke checks and clearing their lines rather than possession or offence of their own. 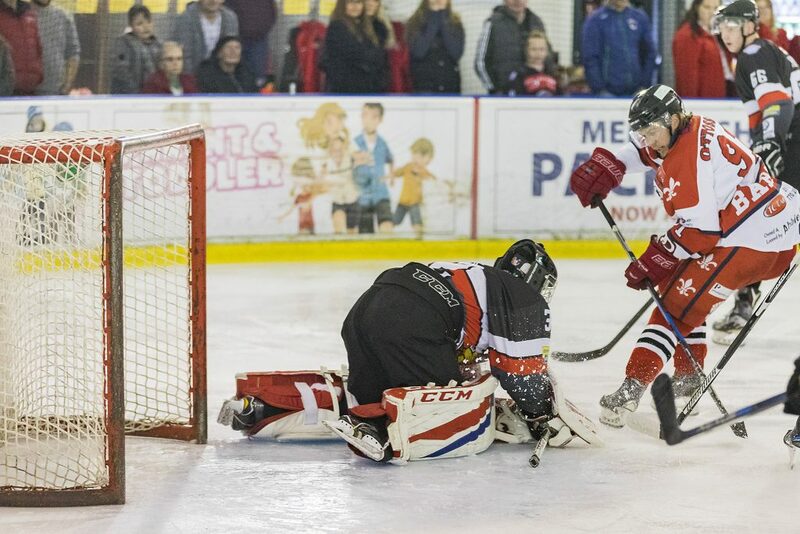 Before long Blackburn were within two goals of Solihull as Craig Lutkevitch and James Riddoch found the net for the Hawks and the Barons once impressive cushion was looking a little thin. With a minute and a half to go the visitors looked to have scored once more but the goal was washed out due to a player in the goalkeeper crease. 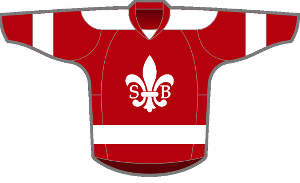 With the Hawks rolling the dice in the final 60 seconds of the game and pulling their keeper for another forward, when the puck fell to Josh Bruce, the empty net goal would close things out for the Barons. 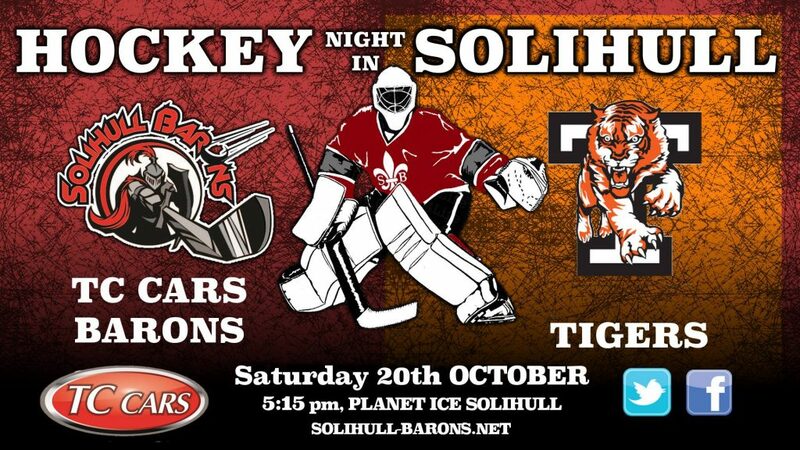 Next for the Barons is league leaders the Hull Pirates away before being back on home ice against historic rivals the Telford Tigers on Saturday 20th October. The Tigers on paper will start favourites but given the rivalry between the two sides the game should be a cracker. Face-off, 5:15pm.